Westgate Buildings and Monmouth Street will be closed overnight between 19:00 – 06:00hrs from 29th June 2015 through until 3rd July 2015 inclusive, due to planned road works. The A4 WILL NOT be able to serve Westgate Buildings and Monmouth Place during this period as the bus stops will be suspended. Notices will be in place to advise passengers. If you are planning on travelling on the A4 at this time please board at the main departure point at Dorchester Street or Terrace Walk. We will also be serving the bus stop on James Street West, alongside the Salvation Army. Please indicate clearly to the driver if you wish to board. This entry was posted in Uncategorized on June 23, 2015 by Victoria. 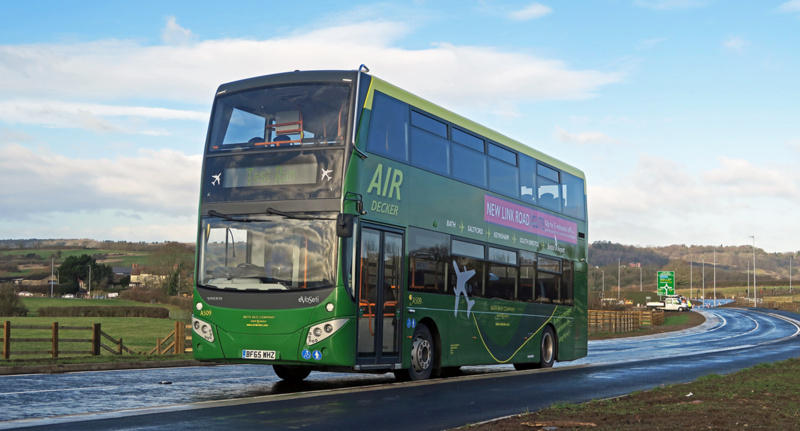 Travelwest would like to hear what your thoughts are on the Real-Time Information system which provides up to the minute bus arrival times for the majority of local bus services in the area, including the A4 Air Decker. Please visit http://travelwest.info/bus/say-real-time-information to complete the short user survey. This entry was posted in Uncategorized on June 15, 2015 by Victoria.